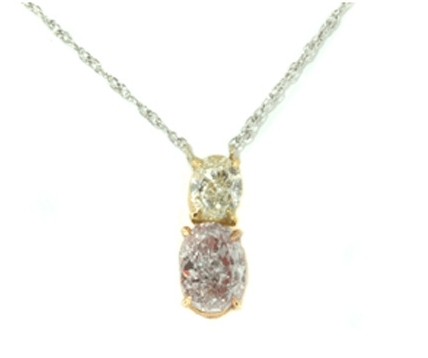 0.71ct Oval Light to Fancy Light Pink Diamond (IGI). 0.48ct Oval Light to Fancy Light Yellow Diamond (IGI). Made in 18K Gold.